UPDATE: Please also read Supreme Wealth Alliance Ultimate – Is It Legit? The main product of the Supreme Wealth Alliance program is access to the Supreme Wealth Library, a collection of over 270 ebooks, audio, video, scripts, and image/icon files. When we joined the Supreme Wealth Alliance, we were able to download the ebooks that we are interested in. We haven’t taken the time to download the video files, because these are large. But we will try those in the future, after we read the ebooks on motivation, personal development, business, sales, and marketing. Since we were able to get the ebook products that we paid for, we can say that Supreme Wealth Alliance Ultimate is not a scam, as far as the ebook library is concerned. What about those high SWA Ultimate earnings? We do not personally know those people who are delivering fantastic testimonies of the hundreds or thousands of commission dollars that they have earned via the Supreme Wealth Alliance payment plans. We haven’t met them in person, and neither have we even spoken to those mega top earners on the phone (except for one: Kiko Javier). Most of the interaction has been via Facebook wall updates. Anyway, we made a test. We referred a customer (ourself, actually) to SWA Ultimate and “earned” a direct referral commission US$20. We say “earned” because it’s really just our second account, because we wanted to see firsthand exactly how the payment of commissions is handled. We then requested the group of Franco Chaves or Francis Chaves or Frank Chaves (Chavesnet Enterprises) for a payout, and we’re giving them 5 to 7 days to complete the payout which will hopefully be deposited to our bank account. We expect to see the deposit by May 2, 2012 (and we will update you in the future). 1. You get notified via email about successful referrals. When someone you referred pays online and applies for an SWA account online, you’ll be notified via email. 2. We didn’t get email notifications, however, when we requested for a Payout. Neither did we get replies to queries made via email regarding our requested payout. 3. We did get replies via SMS text within 24 hours from the time we texted our questions about Payouts. 4. It looks like the setting up of accounts and the payment of Requested Payouts is handled manually. 1. Check if the Supreme Wealth Alliance payout was deposited in the bank account (May 2, 2012). 2. Help people interested in online marketing succeed. 3. Provide training to existing SWA Ultimate members or to those who are thinking of joining. 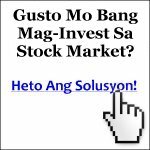 UPDATE: Please also read Supreme Wealth Alliance Philippines – Is It Legit? In the meantime, before you can succeed in online marketing, you need to Invest In Yourself First.